POLITICAL TIDBITS: Pragmatism is name of the game among nations. An American writer for Washington Post was killed and dismembered in Istanbul amid allegations that Saudi royalty had masterminded it. But no complaint from Trump as he's rejoicing over big cut in oil price from OPEC leader Saudi Arabia. Pragmatism is name of the game among nations. An American writer for Washington Post was killed and dismembered in Istanbul amid allegations that Saudi royalty had masterminded it. But no complaint from Trump as he's rejoicing over big cut in oil price from OPEC leader Saudi Arabia. Pragmatism is the name of the game among nations, whether it's our country, the United States or any country in Europe, Asia and everywhere else. Take the case of the recent heinous murder of US citizen Jamal Khashoggi, a resident of Saudi Arabia and a writer for the Washington Post. Khashoggi had been critical of Saudi Crown Prince Mohammad bin Salman and last Oct. 2, the Post writer's body was found in the Saudi consulate in Istanbul, Turkey---dismembered in a most heinous way. The interesting thing is that while Saudi authorities said that 21 people had been taken into custody supposedly in connection with the dastardly crime, news reports cited the US Central Intelligence Agency (CIA) as suggesting that the Saudi Crown Prince "may have known of the killing"---to put it diplomatically. 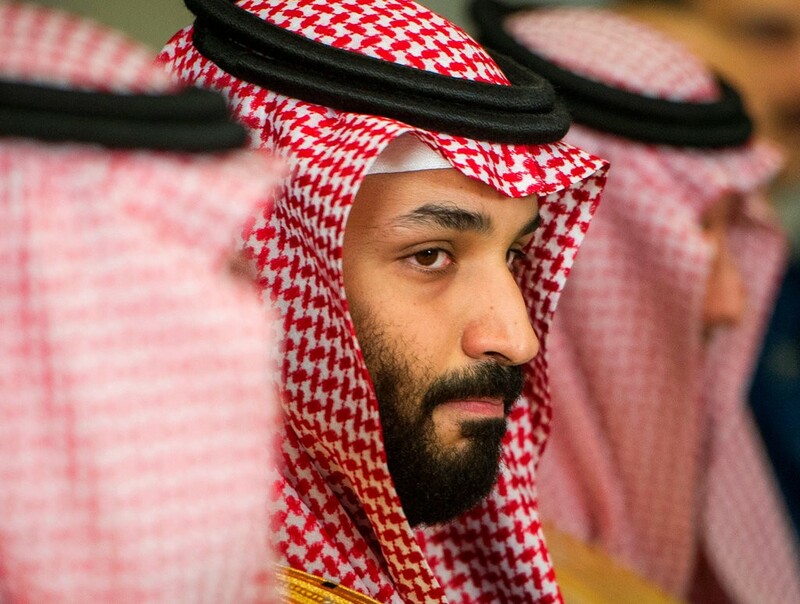 On the other side of the coin, Saudi Arabia sternly warned the US that criticism of Crown Prince Mohammad bin Salman in connection with Khashoggi's murder is "a red line" not to be crossed---and that calls for the Crown Prince to be held accountable for his slaying "would not be tolerated." In fact the Saudi Foreign Minister was quoted in BBC news as asserting: "In Saudi Arabia, our leadership is a red line. The custodian of the two holy mosques (King Salman and the Crown Prince) are a red line," and that "They represent every Saudi citizen and every Saudi citizen represents them. And we will not tolerate any discussion of anything that is disparaging toward our monarch or our crown prince." The foreign minister admitted, however, that the murder of the US journalist was a "rogue operation" by intelligence officers. How these supposed murderers are to be dealt with by the Saudi government remains to be seen. More interesting was the stance of US President Donald Trump, who earlier in his presidency had hosted the Saudi Crown Prince at the White House. Curiously, then Republican candidate Trump, while in the hustings, had threatened to ban Saudi oil from into the US, so that when the Crown Prince called on President Trump at the White House, it was heralded by media as "improving relations between Washington and Riyadh, particularly on security matters." After news reports about the Khashoggi murder came out, however, President Trump, who was vacationing in his Florida Mar-a-Lago Club earlier this week, asserted that he was "essentially ignoring the killing of US citizen Kashoggi" because of what he said were "MORE IMPORTANT US STRATEGIC INTERESTS" (emphasis this writer's). The world doubtless read it as America's much-needed assurance of a steady supply of oil from Saudi Arabia. That statement of the US President, however, did sound quite harsh for a society anchored on human dignity and the inalienable right of its citizens to life, liberty and the pursuit of happiness. Just as amazing was that there seemed no public outrage over Trump's statement---unless the fuel situation in that country has become so worrisome that it could afford to be cold-blooded about the heinous slaying of an American citizen. Just what are those "strategic US interests" that President Trump seeks to protect so assiduously anyway---despite the harm that had befallen an American citizen? He answered his own question: Saudi Arabia, the acknowledged leader of the OPEC, gave America and the world lower oil prices: "a big Tax Cut" ---from $82 it's now $52." The US President publicly said "Thank you to Saudi Arabia," even as he coaxed that major oil producer to "let's go lower." Under those circumstances, then, there would seem to be no room for condemnation of one US citizen's gruesome slaying by Saudi Arabia. It's all pragmatic politics for the moment for the US President who leads what media terms "the largest, most transparent and timely market in the world." It's true that, as noted, the US has "less appetite for foreign oil in general," thanks to the shale boom in states such as Texas and North Dakota that caused US oil production to spike to record high late last year. Still, however, the world's largest economy continues---and will continue---to need foreign oil imports: last December it imported 690,000 barrels a day of Saudi crude--- though down 32% from the previous year. Saudi Arabia, on the other hand, made the strategic decision last May to slash shipment of oil to the US. Its goal: to accelerate impact of OPEC's production cuts---by forcing down US stockpiles which constituted a major force to restrain oil prices at the time. The move to cut shipment was said to have paid off: the price of crude oil rose sharply to more than $60 per barrel! In all the tug-of-war between big-time oil supplier and equally big-time oil-consumer, a heinous crime in Istanbul involving a US citizen---being attributed to Saudi royalty---mattered little.